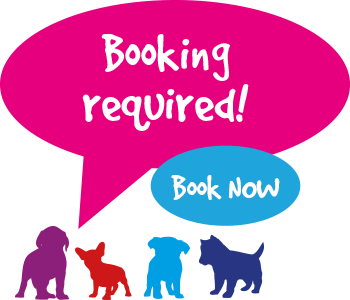 Aged 9-16 weeks – in vaccination stage only! For puppies aged 9-16 weeks, this is a sensitive, critical time in their development. Socialisation and habituation are often overlooked, particularly as a puppy’s movements should be restricted by their owners until the full course of vaccinations has been completed. Puppy Pre-School enables owners the chance to give their new puppy the very best start in life they can, helping them interact with other puppies in a controlled environment – laying down solid foundations for future training.